This is your government. This is your government on drugs. Technorati Tags: This is your government. This is your government on drugs. Employees at the Justice Department must have a lot of time on their hands now that the Obama administration has stopped prosecuting obscenity and marijuana use. Yesterday, Attorney General Eric Holder said that enforcing federal drug laws isn’t a "priority" for this President. The debate is over 14 states, which, in contradiction to U.S. law, allow patients to use marijuana for medicinal purposes. Under the Bush administration, the DOJ didn’t target the sick, but it did try to clamp down on "larger operations that were selling marijuana for recreational use." This President has abandoned that approach and made it easier for criminals to sell to anyone–so long as they claim to produce medical marijuana. In states that do allow it, medical marijuana has opened the door to "pot clinics" that prescribe weed for everything from sleeplessness to stress. But despite its so-called benefits, medical marijuana is even opposed by the American Medical Association. After all, what kind of doctor would prescribe smoking as a legitimate treatment for anything? Senator Max Baucus (D-Mont.) will need more than political muscle to pass his bill! The new legislation weighs in at over 18 pounds, thanks to 1,502 pages of language that takes more than three reams of paper to print. Unfortunately for America, taxpayers will be doing most of the heavy lifting under this plan. To cover the uninsured, Sen. Baucus would expand Medicaid and SCHIP–meaning that the states would be forced to pick up some of the tab. Although the federal government would absorb about 90% of the costs, Uncle Sam will just recoup that money by raising taxes on people living in the states. It’s a double whammy for taxpayers, many of whom already have insurance. This week, the biggest negotiations will take place in private (surprise, surprise), as the leadership from the Senate tries to piece together the Finance Committee bill (S. 1796) and the more radical Health, Education, Labor, and Pensions Committee version (S. 1679). 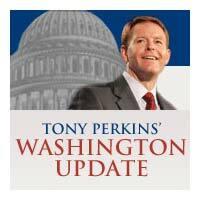 The actual merger started last week when the Baucus bill was still a "concept." Combining the bills was a lot easier then, when the language for one plan didn’t exist! Today, Senate Majority Leader Harry Reid will move ahead with his plan to inject the most controversial elements of the HELP version into the Senate’s final draft of ObamaCare. Although the Congressional Budget Office (CBO) gave the Baucus concept a generous score two weeks ago, it will be back to the drawing board for cost estimates once the Senate’s reform hits the floor. One way that Senate Democrats are trying to sidestep a bad score on the final bill is by taking $250 billion out of the health care plan in hopes of voting on it separately. To hide the real price of the plan, Senate leaders are promising doctors that they’ll freeze the cuts in Medicaid reimbursements in exchange for their support. This "doc fix," as they call it, is a shrewd political move by a party that knows it can’t keep the costs below the $900 billion limit set by President Obama without making this component a stand-alone bill. In the end, it’s nothing more than a budget game that helps in the plan’s PR but not its expense. 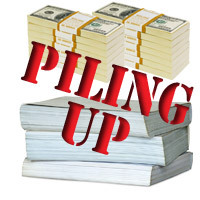 At a time when the administration is considering a stimulus sequel, no gimmick–including the "doc fix"–can hide the financial impact of this bill. According to The Hill, "Though the 2008 deficit was a record at the time, it has more than tripled–to $1.4 trillion–in 2009." And with 1,502 pages, there’s no telling how much spending the Senate is hiding! With just two weeks to go, the fate of Maine marriage is absolutely too close to call. New polls show both sides in a statistical dead-heat, with roughly 4% of the state undecided. Our troops on the ground have been incredibly effective despite being outspent by a 3-to-1 margin. 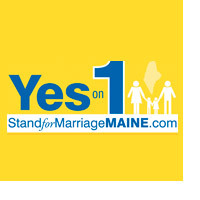 Regardless, Stand for Marriage Maine is facing a neck-and-neck race and the challenge of money pouring in from homosexuals all across the country. Despite being at a $1.6 million disadvantage, they’ve worked around-the-clock to defend marriage through petitions, TV ads, and door-to-door campaigns. The other side has the support of the Governor, the liberal legislature, and thousands of wealthy donors across the country. We have the support of the people. While the homosexual community has never been able to convince voters to support their position at the ballot box, they have a chance to do so in Maine. Please give what you can to keep them from redefining marriage in one of the most important battlegrounds in America. Visit www.standformarriagemaine.org to donate what you can. Every penny will be spent to save marriage in the "Yes on Question 1 campaign"! We can’t afford to lose–not here. Not now.